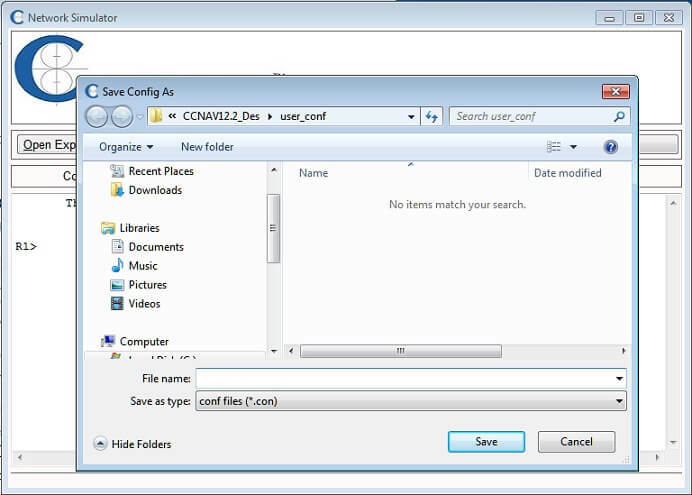 Open Exported File: This button is used for opening a file that was created using Network Designer module. 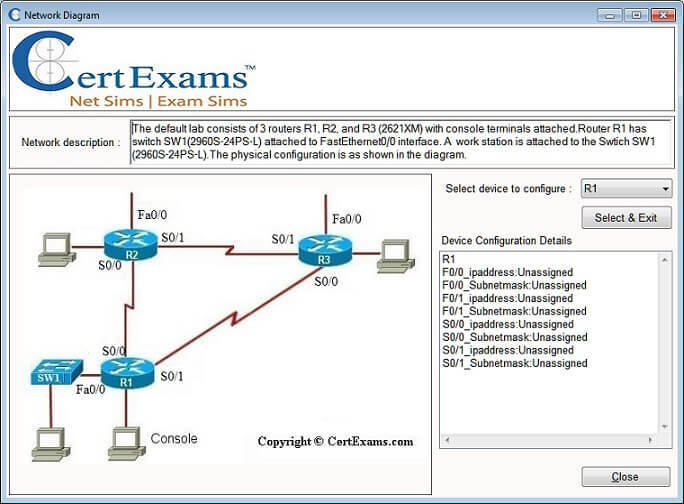 Save Configuration: This button is used for saving the network configuration for later use. On selecting this button, you will be prompted for a filename under which the current configuration of the network has to be saved. The figure below shows the dialogue box used for saving the current Configuration. 3. 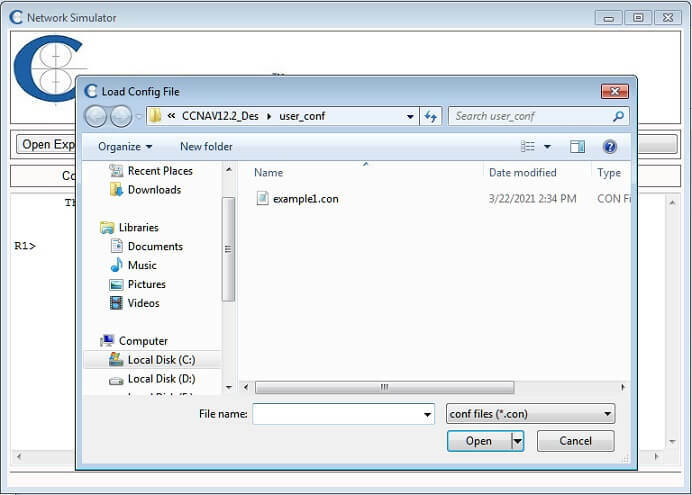 Load Configuration: This button is used to open the saved Configuration file. Below figure shows the dialogue box for opening the Existing Configuration File. 4. Network Diagram: Clicking the N/W Diagram button displays the network diagram you are currently working on. 5. 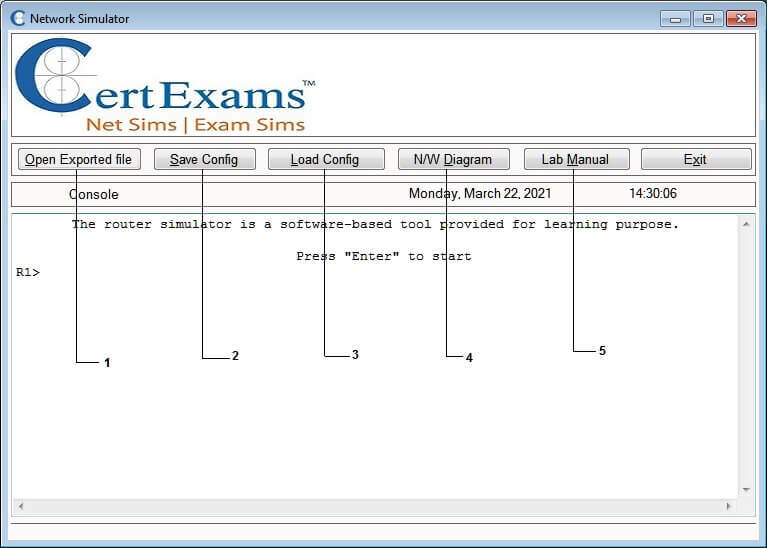 Lab Manual: Certexams.com provides a detailed Lab manual with the Network Simulator W/ Designer For JUNOS which contains several lab Exercises with detailed explanations.